Artisan POS 4 lets you send emails to customers directly from Artisan. On top of that Purchase Orders can also be emailed directly after creating them. All that needs to be setup is a local file in a specific location so Artisan POS knows this information at the time of sending emails. IMPORTANT! Most of the time you MUST use the full email address as the username as shown in the above example. If you are having trouble and getting authentication errors. Try the following. Anytime you make changes to this file you should save it and close your editor and then you MUST restart Artisan. Confirm you settings in the file. Make sure the file is not saved as .txt or upgrade to version 4.1.138 or later. You can see the .txt if you change the view properties in Windows to show the file extension. If on a Mac, read below. Make sure your file is in the correct directory. Confirm the user that you are logged in windows. The .mail.properties must be in this folder. Make sure you are including your full email address as the mail.smtp.user. Contact your provider for assistance or call Artisan Tech Support for assistance. When creating this file on a Mac things are a bit different. There are a couple of things that need to get done before creating the file on Mac OS X. 1. By default, Mac does not create .TXT or raw files. So because we need a file named with the extension .properties we are not going to be able to save it unless we change the following. 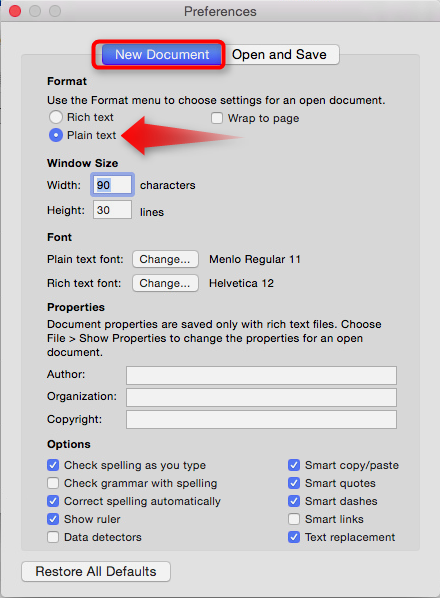 Then Under the “New Document” Tab, check “Plain Text”. 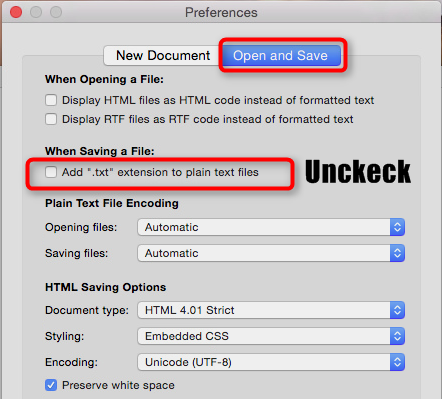 Under “Open and Save” tab, unckeck the box ‘Add “.txt” extension to plain text files. 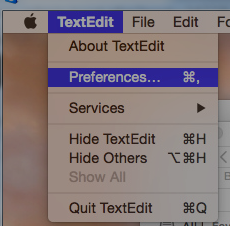 Now restart TextEdit for the new settings to take effect.